Your smile is you. It is how you show others you are happy and confident. It is how you help others feel happy. It not only makes you attractive but approachable in business, social, and personal relationships. We understand how important your smile is to you. We have seen people struggle with self-confidence... who have avoided smiling for years because of their teeth. We have also seen these same people get the sparkle back in their eyes when they have a smile they can be proud of. Fixing a smile functionally and cosmetically not only changes the mouth, it changes a person. On completion of treatment, our patients smile more, laugh more, and live more. Composite restorations, also known as white or tooth-colored fillings, are an important tool in achieving a cosmetic smile. Composite restorations are a resin filling material that can be bonded directly to the tooth and mimic the natural colors of teeth making them nearly invisible. Composite restorations come in a wide range of shades and colors which allow us to match your tooth color making the filling blend in and disappear in your smile. 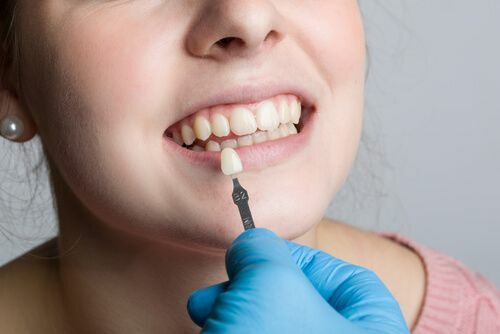 Also because composite resin can be glued (bonded) directly to the tooth surface, we can use this white filling material to change the shape of chipped, deformed, or crooked teeth. Should I take out all of my silver fillings and replace them with white fillings? Am I a candidate for composite restorations? Do I bleach before or after placing composite (white) fillings? How much do composite restorations (white fillings) cost? Composite resin material used in white/tooth-colored fillings can be bonded directly to the outside surface of the tooth. This allows us to change the size, shape, and (to some extent) color of the tooth. Composite bonding works particularly well to close gaps (diastemas) and spaces between teeth. Composite bonding has three benefits over other cosmetic treatment options. First, bonding costs much less than veneers, crowns or braces. Second, unlike veneers and crowns, bonding is very conservative because we don’t need to grind down any part of the natural tooth… we are only adding to the tooth surface. Third, the bonding procedure is a fast, same day, direct procedure which doesn’t require multiple visits. Should I do bonding, veneers, or porcelain crowns? Do I bleach before or after bonding? Veneers are all-porcelain restorations that cover the entire front side of the tooth like a false fingernail. The porcelain in veneers allows for maximum esthetics in color, shade, and life like translucency. Porcelain veneers can be used to change the apparent shape and position of teeth thus fixing gapped, crooked, or crowded teeth. Veneers are also used to change the shade/color of discolored teeth. Because it is a solid piece of porcelain that covers the entire front side of the tooth, veneers last longer than composite restorations (white/tooth colored fillings) and are resistant to breaking/chipping. Also the porcelain in the veneer maintains its color and resists staining much better than composite bonding. Although they cost more than composite bonding, veneers on general will last twice as long structurally and aesthetically. All-porcelain crowns are a better cosmetic option when too much tooth structure is missing due to decay, root canals, or previous fillings. Unlike the veneer, the crown covers the entire circumference of the tooth giving it maximum strength and structural integrity. By using crowns made entirely of porcelain, we can achieve maximum esthetics and life like qualities such as translucency. What can All-Porcelain crowns fix? How long do All-Porcelain crowns last? Am I a candidate for doing All-Porcelain crowns? Do I bleach before or after doing All-Porcelain crowns? How much do All-Porcelain crowns cost? Whiter and brighter teeth are an essential part of smile cosmetics. Tooth stains are intrinsic (coming from within the tooth), or extrinsic (coming from the outside of the tooth… on the exterior surface). Bleaching works better with extrinsic stain, surface stain on the outside of the tooth caused by pigmented foods and drinks. 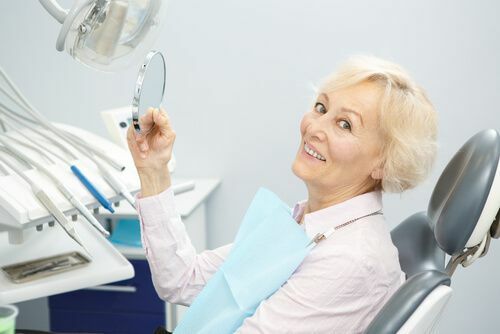 We can bleach the externally stained teeth with in-office one-time bleaching, custom made take home bleach trays, or over the counter bleaching strips. Whitening is more difficult to achieve when the stain is deeply part of the tooth structure as seen in the intrinsic stain. Examples of intrinsic stain include tetracycline antibiotic stain, developmental malformations, and darkness caused by a dead tooth. In some intrinsic stain cases, we can do internal bleaching to bleach the tooth from the inside-out. Orthodontics is the movement of teeth to make them straighter to improve esthetics and function. Traditionally we moved teeth with full metal braces with wires and brackets, but with today’s technology, we can straighten teeth with clear aligners. Molds of your teeth are laser scanned and a series of clear trays are custom designed and fabricated on a computer. As a patient progresses through the steps of treatment, their teeth move into alignment and become straight. 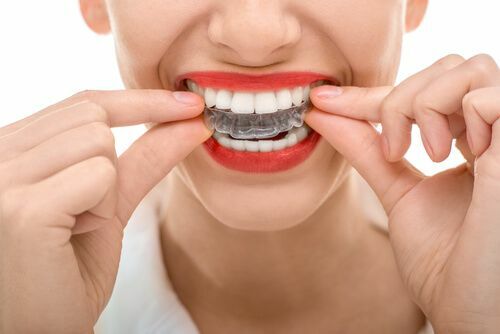 Clear aligners have many advantages over metal braces: they are practically invisible, easier to clean, and can double as bleach or fluoride trays. Contact us at 361-245-5400 or visit us at our office located at City 801 Everhart Rd, Corpus Christi, TX 78411 today to learn more about these cosmetic options and regain your confidence with the perfect smile!